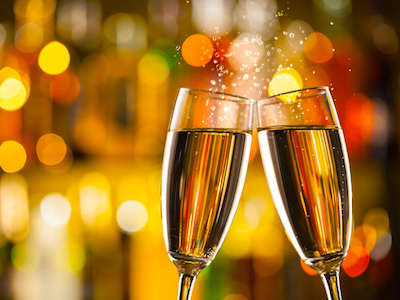 Four of Boston's top-rated 5-star luxury hotels surround the Victorian-era Public Garden and adjacent Boston Common, giving you some of the best views in the city from the windows of your room or suite. 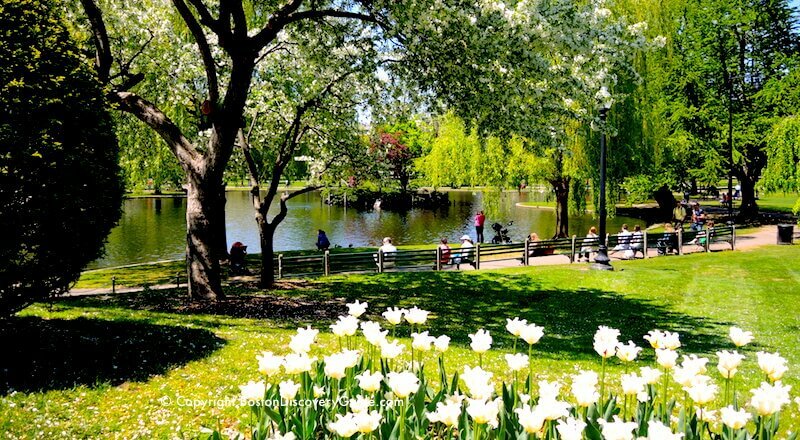 In the spring, you can watch all the flowering trees in Boston's Public Garden burst into bloom. 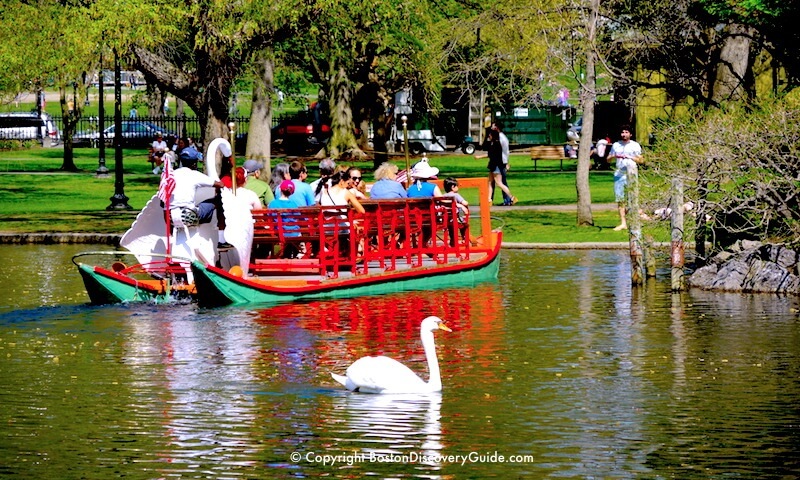 Swan Boats (and swans) glide around the Lagoon during the summer, inviting you to enjoy a picnic on the grassy slopes. In the fall, step out of your hotel, and you'll see New England's legendary autumn leaves turn the landscape crimson and gold. In the winter, ice skaters spin around Frog Pond as the scene out your hotel window turns into a Currier and Ives vision. 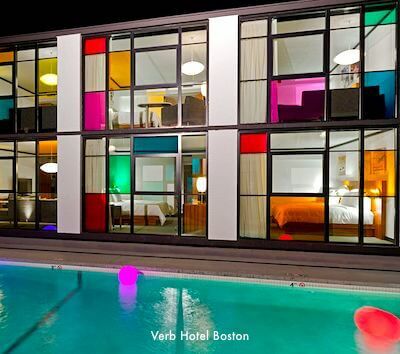 In addition to giving you spectacular views, these hotels put you within close walking distance of Boston's most famous attractions. Top luxury hotel Four Seasons Boston overlooks the Public Garden's Lagoon, with a direct view of its beautiful arched bridge, Swan Boats, and resident swans. Cross the street, and you'll be in the park. Go for a ride on a swan boat, listen to the musicians who play for tips on and near the bridge, and stroll among the stately specimum trees. Make your way across the Public Garden to the northeast entrance at the corner of Charles and Beacon Streets, and admire the Make Way for Ducklings statues. 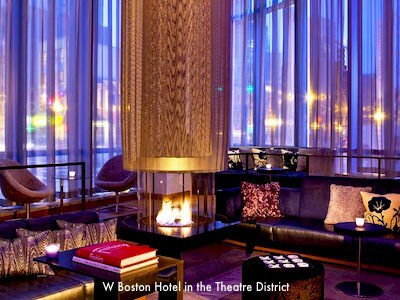 You'll also love the Four Season Boston's beautiful public spaces and the luxurious rooms and suites, renowned service including complimentary transportation within 2 miles of the hotel (which easily gets you to Fenway Park, the Museum of Fine Arts, and TD Garden), and top-notch facilities, including a gorgeous indoor swimming pool. Like the Four Seasons, the Taj Boston has a superb location overlooking the Public Garden. Walk out the door of the Taj and cross Arlington Street to the Public Garden. As soon as you walk through the wrought-iron Victorian era gate, you'll be standing in this field tulips surrounding the George Washington statue - assuming you're there on a glorious May morning. Walk down to the Lagoon and go for a Swan Boat ride. You'll find tons to enjoy in the luxurous Taj - with 273 splendid rooms and suites, the Taj epitomizes understated elegance. 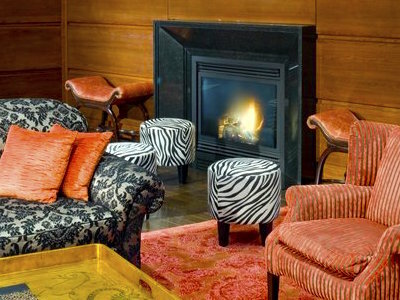 Splurge on a suite with a wood-burning fireplace (if you stay there during the winter), and drop by the lounge for afternoon tea. Don't forget to request a room with a Public Garden view - from higher floors, you can also see Boston Common. 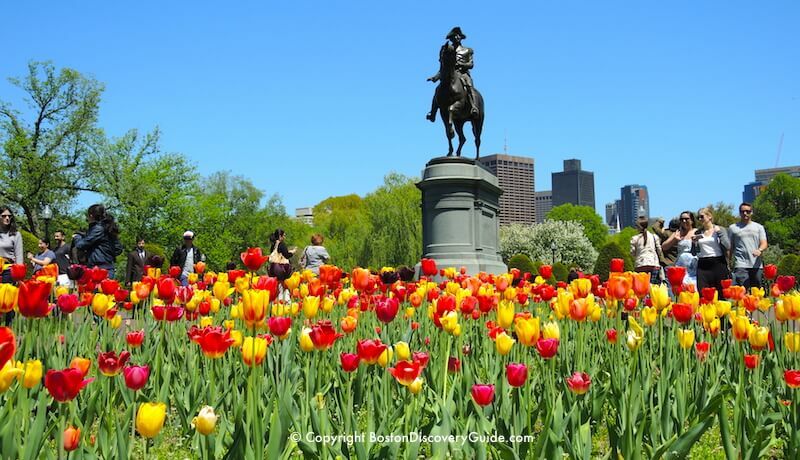 Although luxury hotel Ritz-Carlton is across the street from Boston Common, the 193-room/43-suite hotel also offers sweeping views of the Public Garden from the upper park-facing floors. Unlike many other Boston hotels, the Ritz offers the luxury of space - not only in generously sized guest rooms, but also its on-site sports club complete with huge pool. You'll love the sleek, contemporary furnishings in your room or suite, as well as the hotel's convenient location on the edge of the Theatre District. 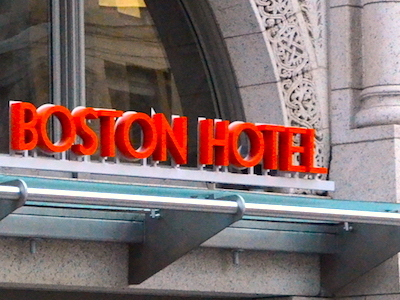 Even though the huge (941 rooms and suites) Boston Park Plaza Hotel is located a block away from the Public Garden, upper floors provide excellent views of the Public Garden. Views are particularly stunning in autumn, when fall colors turn the garden into swaths of gold and crimson. But the hotel also has a special connection with the Public Garden, which inspired its swan logo. 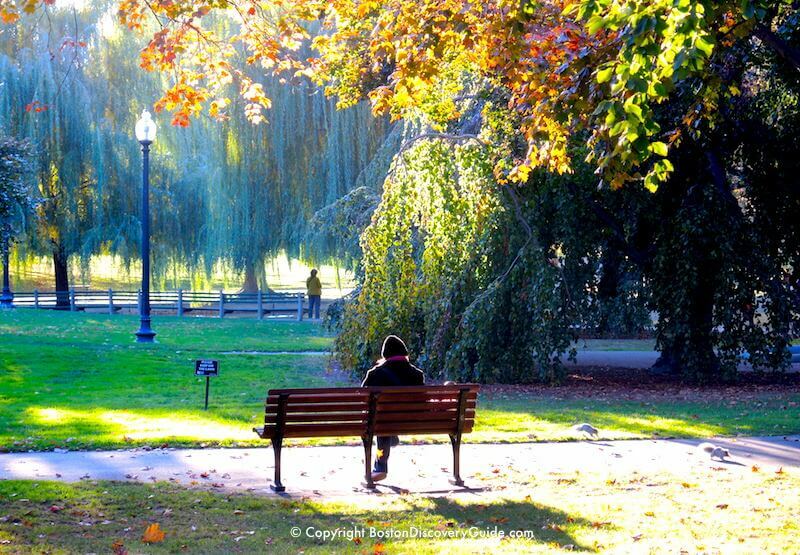 In 1991, the Public Garden had been without swans for 20+ years. Mr. and Mrs. Irving Saunders, who owned the Park Plaza at that time, arranged for a pair of swans to return to the Public Garden. Now they return every year in May. Walk over to the Lagoon and you'll see them when they're in residence from April - October. 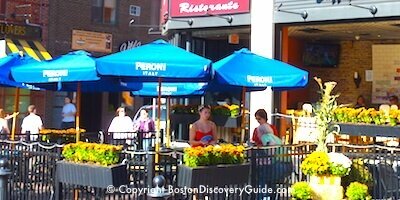 Boston Esplanade - Enjoy this river-side park with free movies, concerts, and 4th of July fireworks. 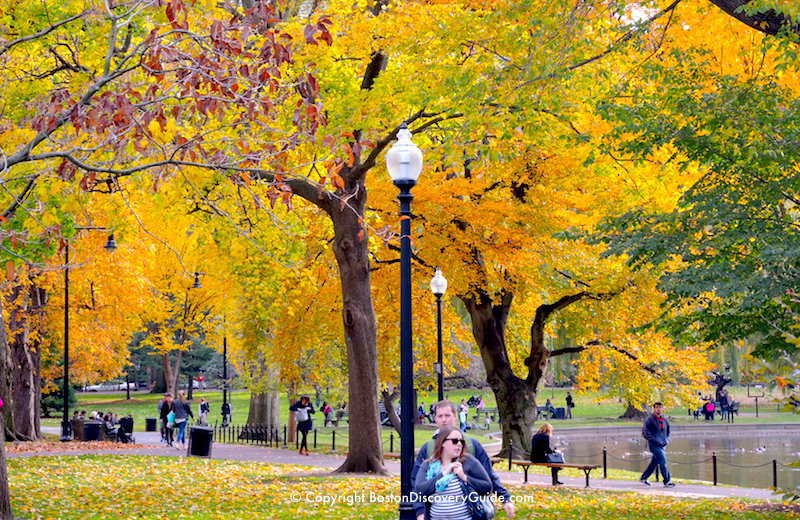 Boston Common - Boston's central "people's" park - concerts, Shakespeare, tennis courts, carousel - and much more!